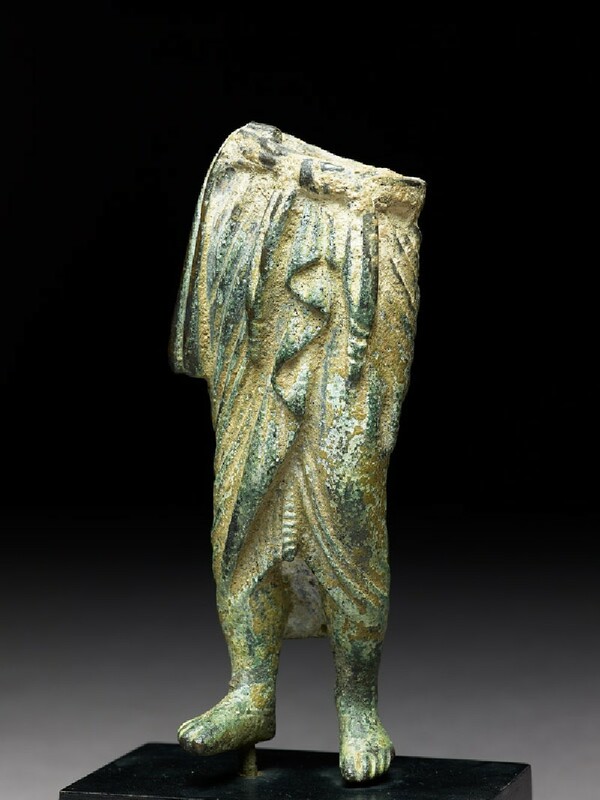 This impressive though fragmentary little bronze, found in Gandhara but purely Graeco-Roman in style, was clearly an import. 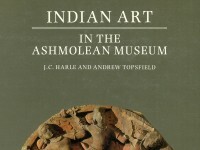 Such foreign works of art, dating from 1st to 4th centuries A.D. have been found in considerable numbers in Indian and Pakistan, from the north-west to the northern Deccan, as well as in Afghanistan. Many of them can be traced to Alexandria. It is more difficult to determine the place of origin of this bronze, for the costume, marked by tassels at the back hanging down from an upper garment, is neither Greek, Roman nor Indian. It seems most likely to have been made in some Hellenistic milieu of Western Asia.